I received this from Oak Tree Press in exchange for an honest review. As always, my reviews are fair and non-bias. I haven't read many books heavily influenced by mythological elements, but I was keen to start delving into more genres that opened up some myths and legends within YA literature. Right from the start, I was amazed by the effort that had gone into creating such an imaginative and creative world surrounded by mythological creatures, worlds and the elements of good and evil. Rebecca (name-twin!) is a courageous, bright main character who really comes to life on the pages. Although the story is mostly set in the Land of the White Sun, Rebecca starts her training after leaving Earth to become something much, much greater. But when she is abducted, things get troublesome very quickly for her and all that awaited her on the other side of everything she knew. Meeting Turgoth, the ruler of the kingdom of Beast, was an eye-opening moment. They form a sort of special bond with each other, although their doomed relationship whatever it may be is struck by the fact that they will be fighting against each other regardless of that connection. Ancient Gods come to life in this magnificent, wildly spectacularly world where everything is as far from real-life as possible. 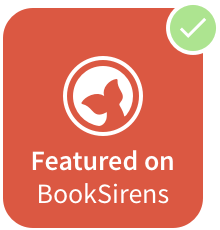 It's a book you can just escape to be among mythical creatures and a story of bold characters and an unforgettable adventure. Rebecca's character development was by far my favourite and although I didn't get a chance to connect as well with the rest of the characters, the story itself made up for it. For fans of adventure, imaginative myths and fascinating journeys. It was a lovely change from a contemporary read and I look forward to delving into the myth-worlds more in the future! The moments with Rebecca and Turgoth were a highlight for me, but there were so many little moments that I loved that I couldn't possibly write them all down. Fans of mystery, love and an epic adventure. A great escape to another world, for YA fans definitely. 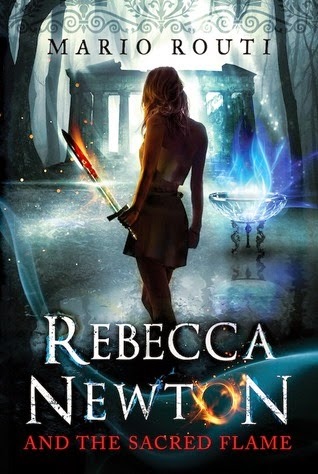 Have you read Rebecca Newton and the Sacred Flame?